Blue Bayou has a rich blue base with 2 grades of spectra flair. All nails are 2 coats with top coat. Lilac You Mean it has a spectra flair alternative in a dusty purple base. Shown is 2 coats with top coat. 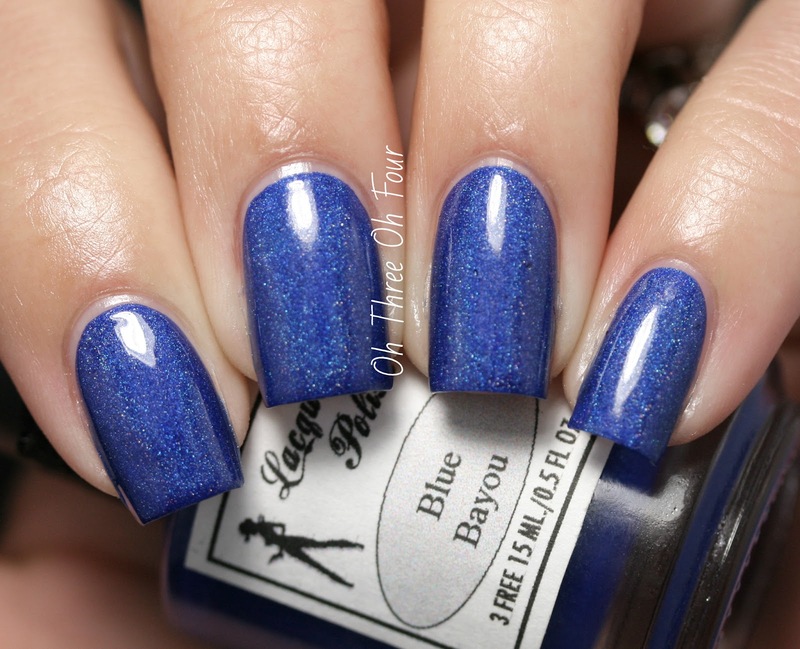 It seems that Blue Bayou is currently out of stock in Lacquerhead Polish's Etsy shop, but everything else in this post can be found there! 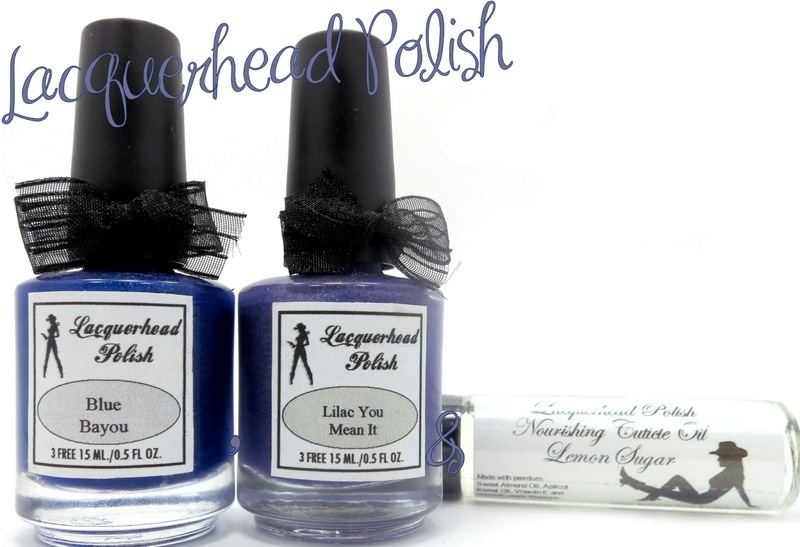 Make sure to follow Lacquerhead Polish on Facebook, Instagram and Twitter!